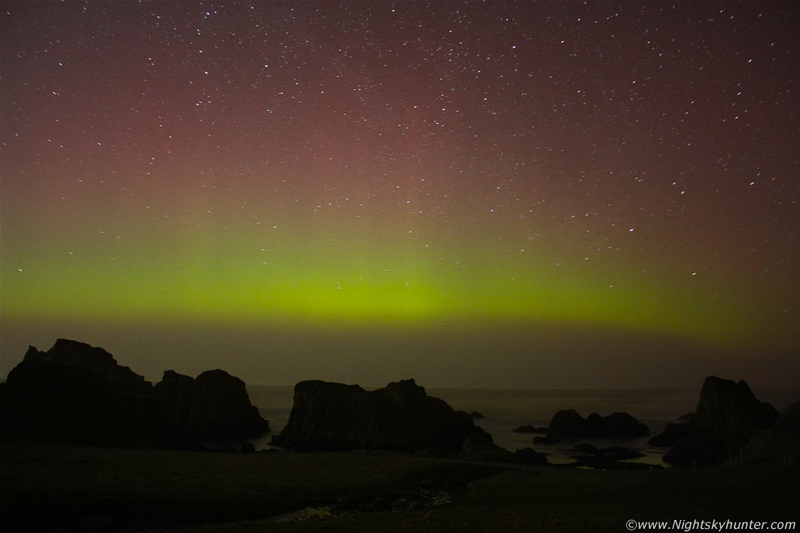 A spectacular aurora outburst over the Atlantic Ocean captured from the Co. Antrim shore between Ballintoy and White Park Bay beach on March 27th/28th 2012 due to a fast solar wind stream impact. The aurora looked amazing over the ancient rock formations in this famous location making for an unforgettable night's action. For more information on this night and further images check out the REPORT.